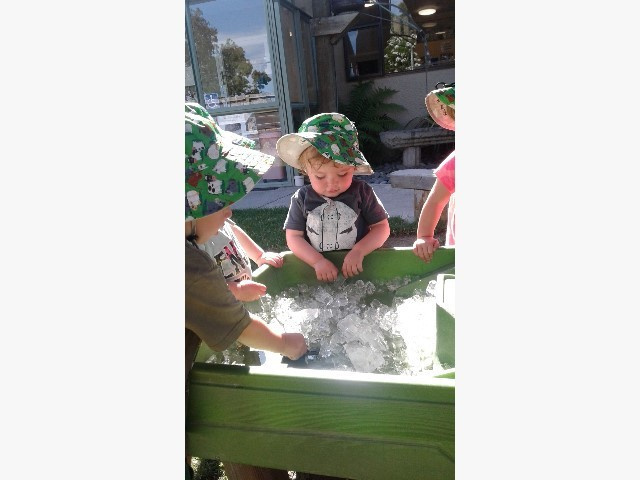 Children explored the nature and properties of the ice and we used a variety of language to describe it – cold, frozen, freezing, white, cracked, smooth and slippery. 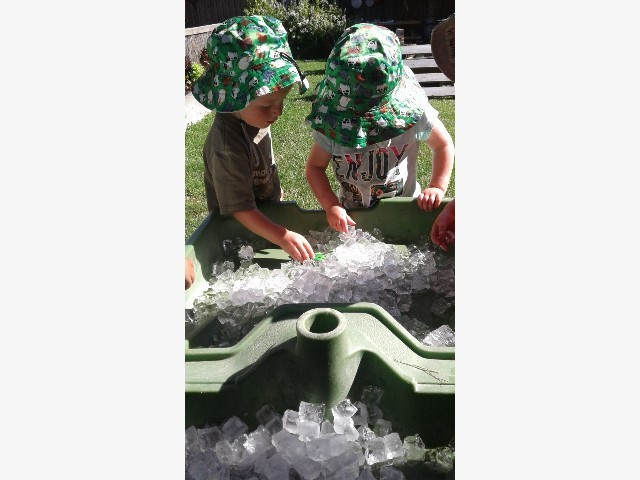 So slippery that it was a challenge for some of the children to coordinate their fine motor skills to pick it up and keep it in their hands. 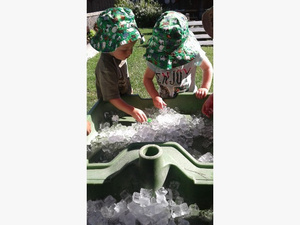 Once it was in their hands they observed it melting from solid ice into liquid water and dripping off their fingers. They also noticed that as the day warmed up and the larger blocks of ice melted the animals that were stuck became unstuck and they were able to free them from the ice with a firm grip and a bit of a wriggle. Science and nature can help children to :learn to question and investigate, think and act and discover how nature works. Simple things like ice offers opportunity to look at things differently, like its form,. It starts of solid but after while if forms water another substance to look at and play in. The world is full of opportunities for children to discover science and explore what it part they can play in it. - What do you think might happen? - What do you see happening? - Why do you think that happened? 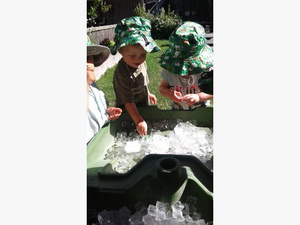 In this way we are inviting them to describe what they see and supporting them to touch, taste, listen, see and smell the items encouraging them to come up with their own explanations. 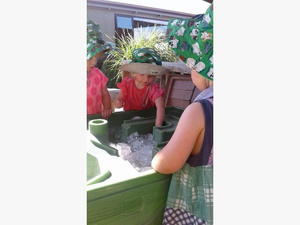 This sort of play allows children to develop a perception of themselves as ‘explorers’ – competent, confident learners who ask questions and make discoveries. Children are engaged in science whenever they are learning about the world around them. As a team we look forward to providing many opportunities to further discover science in the children's everyday learning experiences.